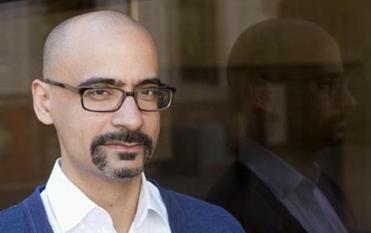 Author Junot Díaz adamantly denied allegations of inappropriate behavior made by two female writers. In his first interview since being accused of inappropriate behavior with women, celebrated novelist Junot Díaz adamantly denied the allegations, including a claim he once “forcibly kissed” writer Zinzi Clemmons. Díaz, who was awarded the 2008 Pulitzer Prize for his novel “The Brief Wondrous Life of Oscar Wao,” said he was “distressed,” “confused,” and “panicked” by the accusations, but insisted he had not bullied the women or been sexually inappropriate. For eight months, #MeToo stories have followed a familiar script: A prominent man is accused of impropriety. He faces immediate public shaming followed by a swift disavowal by the institution that made him famous. But the Díaz case may be rewriting that narrative. The Cambridge author is keeping his teaching job at MIT and his editing position at Boston Review after separate investigations found the accusations lacked “the kind of severity that animated the #MeToo movement,” as Boston Review’s top editors put it. The author, whose fiction is full of male characters behaving badly toward women, now finds himself trying to draw distinctions between the artist and his art, between sexual misconduct and consensual relationships gone wrong. 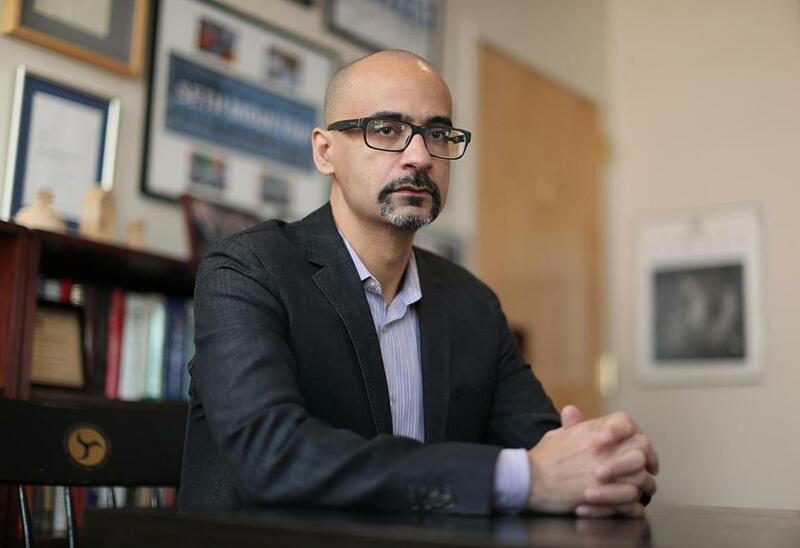 Pulitzer-winning professor Junot Diaz has been cleared to return to teach this fall, a significant development in a contentious #MeToo case that has drawn national attention. “There is a line between being a bad boyfriend and having a lot of regret, and predatory behavior,” Díaz said. The Dominican-American writer has been a literary darling since his first book, “Drown,” became a national bestseller in the mid-1990s; his Pulitzer-winning novel is often taught in schools. With stories that dwell on the legacy of trauma and characters steeped in cultural misogyny and racism, Díaz has long evoked strong feelings, but never more than in recent weeks, when the complaints of several female writers riveted — and divided — the literary establishment. So far, Díaz has been spared, largely because the deluge of #MeToo stories his accusers predicted hasn’t come. Also, some of the allegations have withered under scrutiny: An exchange recalled by one woman as “a blast of misogynist rage and public humiliation” sounded, to others, like an author being defensive about his work. And Clemmons, who accused Díaz of forcibly kissing her in a stairwell, has refused to say whether it was on the lips. While Díaz’s allies have decried the rush to judge him, his accusers view the esteemed author as the misogynist who got away. They stand by their allegations, saying a broad array of behaviors should be addressed as part of the #MeToo movement. So does Sarah J. Jackson, a Northeastern University associate professor of communications who studies hashtag activism online. Though she says every #MeToo story deserves to be heard, she thinks this episode may prove to be a turning point in how they are evaluated. In April, The New Yorker published an essay in which Díaz revealed he was raped at age 8 and recounted the heavy toll the experience had taken on his relationships, acknowledging the many girlfriends he had betrayed and abandoned. But his critics viewed his confessional as a cynical attempt to preempt allegations that may have been coming his way. 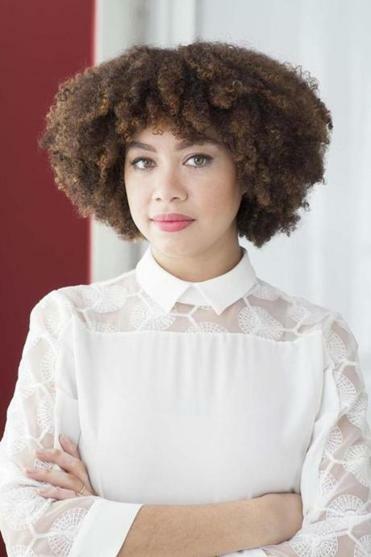 When he spoke at the Sydney Writers’ Festival in Australia after The New Yorker piece was published, novelist Zinzi Clemmons publicly confronted him about an encounter she said they had six years earlier. Zinzi Clemmons said Díaz tried to “forcibly kiss” her during an incident at a Columbia University workshop. She wasn’t specific, but elaborated later on Twitter, saying that as a Columbia University graduate student, she’d invited Díaz to speak at a workshop, and he “used it as an opportunity to corner and forcibly kiss me.” She was “far from the only one” he’d done that to, she said. Instead, he hastily withdrew from the festival and returned to the United States, where he found himself in the middle of a social-media storm. His initial public statement, sent to The New York Times by his literary agent Nicole Aragi, was vaguely penitent. Díaz categorically denied Clemmons’s story. He also provided a cordial e-mail he received from Clemmons the day after the workshop that made no mention of a kiss. A Columbia professor also recalled encountering Clemmons after Díaz left the event and described her as delighted, not shaken. Contacted by the Globe, Clemmons maintains that Díaz kissed her as she walked him out of the building, positioning her against a wall in an enclosed stairwell. Asked to characterize the kiss, she declined to specify whether it was on the mouth. In the interview with the Globe, Díaz referred several times to the sexual abuse he suffered as a child, saying the experience left him “broken” but also sensitive to issues raised by the #MeToo movement. “For someone like me, who’s a victim and a survivor, MeToo stuff matters,” Díaz said. Díaz arrived at the interview with names and contact information of friends, colleagues, former students, and even ex-girlfriends who could attest to his character. Among them was psychologist Wendy Walsh, who dated Díaz on and off for four years and still holds him in high regard. She views Díaz as a champion of women of color and credits him with encouraging her biracial daughter to attend an Ivy League college. Walsh, who also happens to be one of the first women to allege sexual harassment by former Fox News anchor Bill O’Reilly, said Díaz was never abusive, though she acknowledged flaws, likening him to the inveterate cheater in his books. 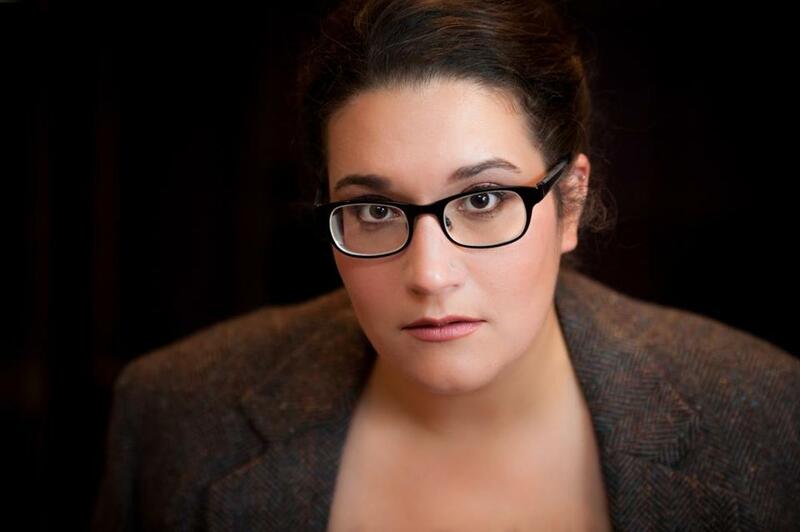 Interestingly, the second public complaint about Díaz arose from a conversation about Yunior, the philandering narrator of Díaz’s 2012 short-story collection, “This is How You Lose Her.” Carmen Maria Machado, who was then an unpublished writer, asked Díaz about Yunior during the author’s visit to the University of Iowa. “When I made the mistake of asking him a question about his protagonist’s unhealthy, pathological relationship with women, he went off for me for 20 minutes,” Machado tweeted. As Díaz spoke, Machado said, he became “enraged” and veered into “bullying and misogyny.” But Machado told the Globe she wasn’t claiming a #MeToo moment of her own. Carmen Maria Machado tweeted that Junot Diaz became “enraged” when she questioned him about a character in his work. Díaz denied being verbally abusive to Machado, and said he feels vindicated by a recording of the event that has since surfaced online, revealing him to be defensive, but not raising his voice. 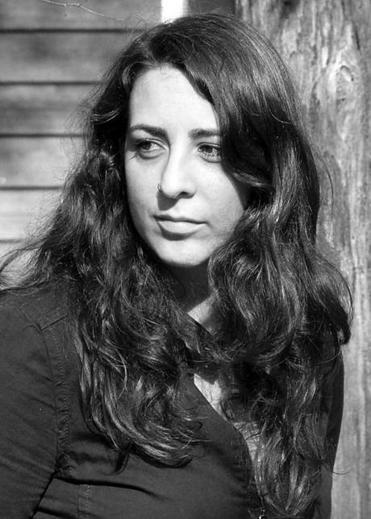 Machado, a National Book Award finalist for her story collection, “Her Body and Other Parties,’’ stands by her account. In an interview, Byrne said the conversation concerned the statistical disparity between male and female authors who get published and reviewed. Byrne told Díaz that The New Yorker had rejected an excerpt of her novel and she questioned whether that was evidence of gender bias. Díaz, who appears regularly in The New Yorker, responded by saying something like: “I don’t know if you know how statistics work, but that’s like saying if you haven’t been raped then nobody’s been raped,” Byrne said. Byrne — like other accusers — contends there are additional women who have not spoken out, but she will not disclose their names. She said she’s compiling a list that includes secondhand stories and published accounts, like that of a man who tweeted about Díaz belittling his manuscript in a writing workshop. “Me Too covers a huge spectrum of behaviors as problematic and as specifically misogynist,” said Byrne. Another Díaz accusation was posted online by Rivera, a former writer who says she and the author met for lunch, where they discussed insecurities related to cultural identity, a focus of Díaz’s work. But rather than empathizing, Rivera said, Díaz noted her fair skin and identified with those who had bullied her. Feeling “gutted,” Rivera said, she burst into tears. Instead of apologizing, Díaz “grabbed me by the wrist and pulled me onto his lap,” she wrote. “In retrospect, it felt like negging — when you undermine a woman’s self-confidence in order to hit on her,” she said in an interview. “I just don’t drag people onto my lap against their will,” he said. Boston Review, where Díaz has been fiction editor for 15 years, likewise decided to keep the author on its masthead after a “careful review of the public complaints” and interviews with “women writers of color” revealed no reason to remove him. An investigation by the Pulitzer Prize board, of which Díaz is a member, is still ongoing. The case has deeply divided writers, editors, and academics, who have sparred in thoughtful open letters published in the Chronicle of Higher Education and in a barbed back-and-forth on social media. Both sides say they have been harassed by spiteful trolls. Three Boston Review editors resigned in protest of the publication’s decision to keep him, and some women of color pushed back on Díaz’s defenders, saying his accusers deserve to be heard, even if their stories are not as dramatic as other #MeToo accounts. “It is not anybody’s job to say only certain types of stories can be told on the hashtag,” said Jackson, of Northeastern. Mark Shanahan can be reached at shanahan@globe.com. Follow him on Twitter@MarkAShanahan. Stephanie Ebbert can be reached at Stephanie.Ebbert@globe.com. Follow her on Twitter @StephanieEbbert.